Do we have locks for drawers and cupboards? Curious children investigate unlocked containers and the content can prove harmful. Locks for your: kitchen cupboards, fridge, drawers, doors, windows, rubbish bin, more. Are all our power outlets covered? 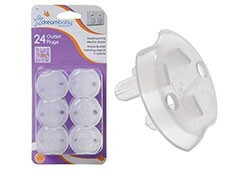 Covers for standard Australian and New Zealand power outlet sockets. Are all of our doors secured? Children's small fingers or toes can get caught in slamming doors causing injury. 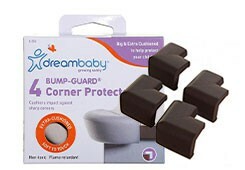 Door slam prevention, door knob locks, door grippers, and door barriers. 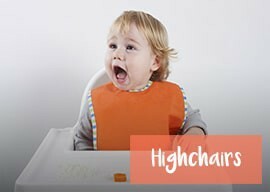 Children love to climb, and unsecured furniture can cause injury if it falls or shifts. 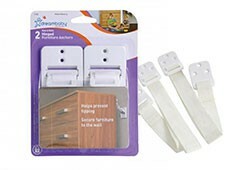 Furniture anchors and straps to lock down and secure various furniture items. Are all sharp corners covered? Sharp edges on furniture and fittings can cause scapes and injury. Cover corners with: foam, rubber, plastic. 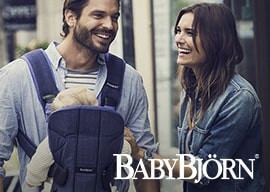 Also in various colours. Do we have security gates set up? 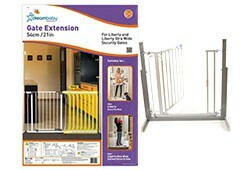 Prevent access to dangerous rooms or stairs with security gates or rails. Security gates, extensions, corners, clamps and accessories. Colours available. Do we have enough night lights? Easily overlooked, night lights help prevent falls and bumps in the dark. LED night lights with: motion detection, ambient settings, bayonet fitting, toy & characters. Do we have a thermometer at home? 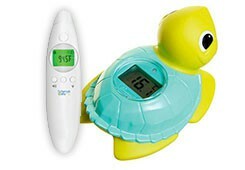 Vital to monitoring a sick child, digital thermometers are safety essentials. Thermometer range includes: Infrared ear & forehead, bathroom, ambient room temp, non-contact. Do we have a baby monitor? 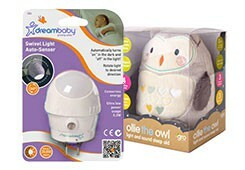 Essential for any nursery or child's room, baby monitors help deliver peace of mind. 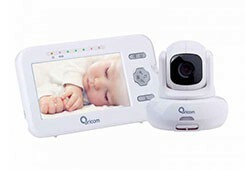 Baby monitor range includes: video, sound, movement, and breathing sensor monitors. Do we have children's bed rails? Once children move to their own beds, bed rails can prevent falling injuries. 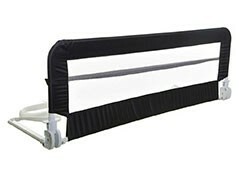 Easy to install bed rails, various sizes to match beds, multiple colours avilable.